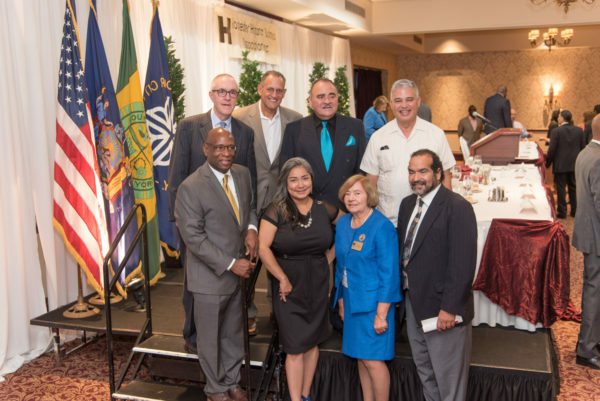 The Hispanic Business Person of the Year (HBPOY) award recognizes an individual who has enhanced the Hispanic Community with a significant, positive contribution, or who has otherwise contributed positively to the economic development and business interests of the Hispanic Community in the Greater Rochester area, and who serves as a positive role model. The contribution may be in the arts, athletics, business, government, humanities, music, philanthropy, science, or social services. 2012 Sergio Esteban, CEO of LaBella Associates, P.C. 2009 Jacklyn Ortiz, State Farm Insurance Agent. 2008 Hiram Hernandez Sr., First Capital Payments. 2007 Juan Contreras, Juan and Maria Empanada Stop. 2006 Fabricio Morales, FM Office Express Inc.
2005 Alfred Burgos, Burgos Income Tax, Inc.
2004 Larry Fuentes, Superior Interior Systems, Inc.
2000 Eduardo Navarro, EIC Electronics, Inc.
1998 Roberto Colangelo, Bausch & Lomb, Inc.
1995 Emilio Serrano, Ibero-American Investors, Corp.